Peter Newman is a special agent for the President. There should be no real doubt in anyone's mind that the prototype for Peter Newman is Oliver North. Newman is a Marine attached to the White House in a Special Operations capacity, charged with operating under covert conditions to fight the nation's enemies. While North's primary emphasis while working for Reagan was procuring arms for the Contras fighting in Nicaragua, Newman's chief enemy is international terrorism. Against them, he is a tenacious and determined as North was. He mainly has to dodge the bullets and bombs of Islamic radicals while North dodged Congressmen and news anchors. Just over 6’ tall and ramrod straight, Newman is 38 years old but look considerably younger. A graduate of the Naval Academy, he served in numerous trouble spots around the world, being promoted early for his bravery and his accomplishments. He fought during the Gulf War where he was injured by shrapnel, earning a Purple Heart, as well as the Navy Cross. He is married as the series begins, though that is going through trouble, with no children. Newman is a proud member of a Force Reconnaissance company, the Marines Special Forces. 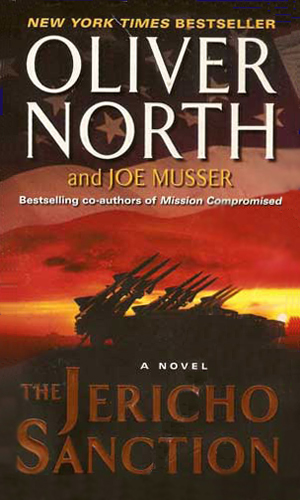 In the first book, he is just being assigned to work for the National Security Advisor though he had tried to not be. He would have preferred to be leading troops in the field, not working for a man who greatly disliked anyone in uniform and denigrated not only their accomplishments but also their actual profession. Orders, however, are orders and he goes where he is directed. 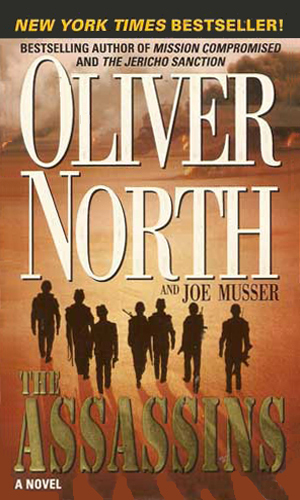 With Joe Musser, Oliver North created the character of Peter Newman and three adventures came from the collaboration. The hero of the series is Peter Newman, a colonel in the military who will over the three books advance in rank to become a general and a major player in the political arena as well. 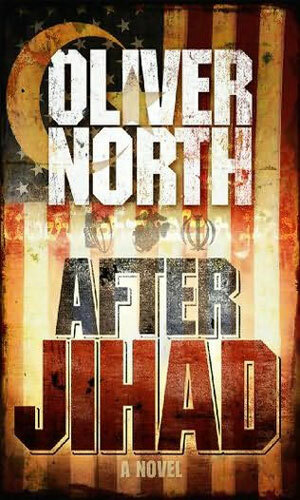 A half decade later, Oliver North, without a co-author listed, created two more Peter Newman adventures but for these tales, he advanced the timeline two decades with Newman still a vibrant and powerful figure but definitely older and wiser. Attached to the White House Special Projects Office, Peter Newman is given a dangerous clandestine assignment: hunt down and eliminate the top terrorist before he can act against the U.S. A huge block though is only a handful of people know his assignment. Even as he tries to stop a madman in the Middle East from attacking Israel with nuclear weapons, Peter Newman is given another nightmare. His cover is blown and his wife is kidnapped in Jerusalem, giving him a choice of saving his loved one or stopping another holocaust. Reeling from the news that terrorists have killed most of the Saudi royal family, Congress enacts a secret law authorizing Peter Newman to lead a highly trained team against the terrorists, even if the trail leads straight to Iran. The year is 2032 and the United States is nothing like it was two decades earlier. The government rules and its intelligence agencies spy on everybody all the time. Peter Newman needs to look into the disappearance of a friend who invented a new fuel cell and he needs his son James to be his leg man. In the year 2032, the US President has assured all citizens that with the UN help, America is safe and its military has been pared back substantially. Then Houston is the site for suicide bombers and America's premiere physicist is kidnapped. His friend, Peter Newman, is determined to get him back. I was never a fan of aid to the Contras in the ‘80s because I thought them largely thugs and bandits. Colonel North didn't see them that way and he was closer than I was to them so I could be wrong. As a result of my bias, I went to these novels with less than enthusiasm. I was wrong. 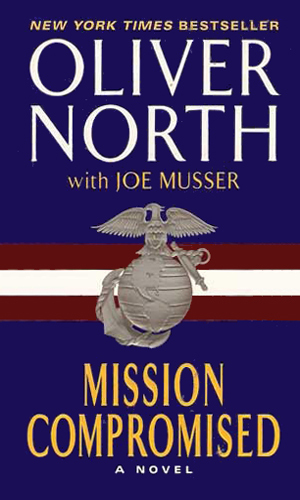 I should have remembered that Colonel North's expertise and Mr. Musser's genuine writing skill would not have created anything other than exciting, compelling reading. 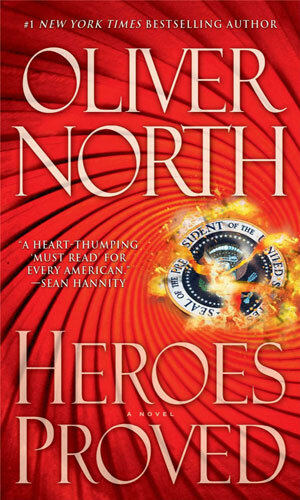 I would never try to state categorically that Peter Newman is Oliver North as I do not know the real man but Colonel North is a prototype and that makes reading the books have an almost peeping affect on me. The stories were good but the feeling persisted.